How do I set up automatic late fees? With Cozy, you can automatically bill late fees to encourage your tenants to make payments on time. 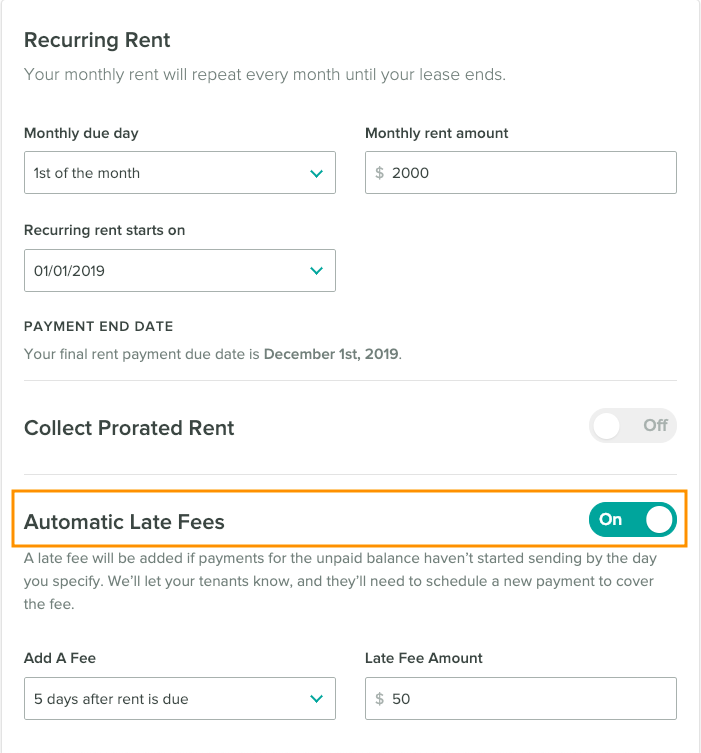 Here, you'll learn how to set up automatic late fees for both new and existing rent collection setups. 1. 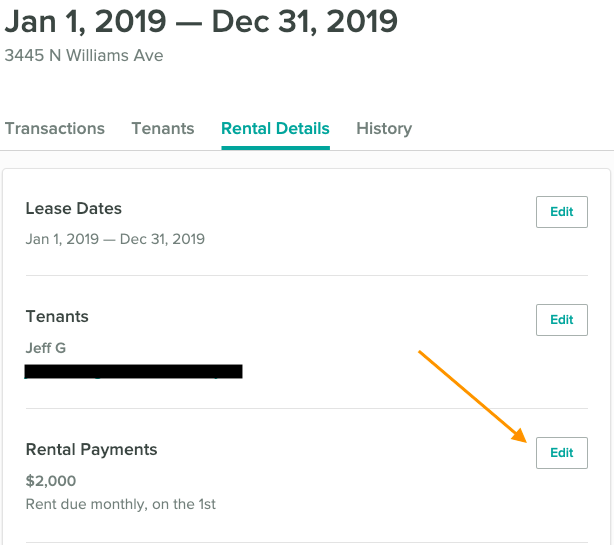 To enable automatic late fees, go to your Rental Details tab from an existing rent collection setup and click "Edit" next to the Rental payments. 2. From there, you'll be prompted to enable automatic late fees. When you enable late fees, you'll need to enter the fixed amount that you'd like charged and a grace period. Tip: When you're choosing a grace period, you'll see a drop-down menu labelled "Add A Fee," with options saying "# day after rent is due." For example, if rent is due on the 1st, and you choose to have the fee added "5 days after rent is due," the late fee would be added on the 6th. 3.Click Continue, review the lease setup, and select Confirm and Update when you're ready! When setting up a new rent collection, you'll have the opportunity to enable the automatic late fee feature! Tip: If you make a mistake, don't worry! You can change the late fee amount and/or grace period anytime you'd like. Now that you've set up automatic late fees, if your renters don't have a total balance of $0 or lower on the date that rent is due, we'll email them to let them know that they need to schedule a payment for rent, or a late fee will be applied. Once the grace period is over, a late fee bill will be applied automatically and we'll email your renters about this bill with instructions on how to schedule a payment. Note: The Due Today balance for the rent collection will need to be $0 when automatic late fees are enabled. 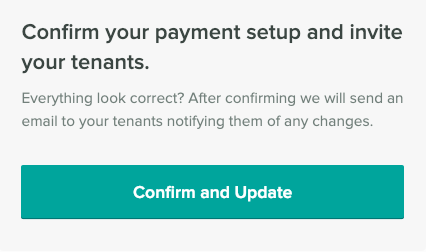 If it's any amount besides $0, we'll be unable to determine whether the renter is current in their payments, and the automatic late fee will not be applied, even if the renter has not made their payment. Do you offer a daily automatic late fee?